Cosmetic dentistry is a term that is used a lot these days, but not many people actually understand what this speciality actually entails. Dental service providers will usually throw this term around, but I think it is important for everyone to know exactly what cosmetic dentistry is. Any dental work that improves the appearance of a person’s teeth, gums or bite is generally referred to as cosmetic dentistry. This type of work does not necessarily have to improve the function of a person’s teeth, gums or bite but a cosmetic dentistry procedure could help with that as well. Patients that receive cosmetic surgery tend to be those that are unhappy with the appearance of their smile. Any of the procedures listed above can certainly help the patient achieve these goals. While money can be an issue for many patients, cosmetic dentistry can surprisingly be affordable and it is something that will completely change your life. Cosmetic dentistry provides patients with an amazing smile that they can be proud of – it improves their confidence and makes them look and feel younger. 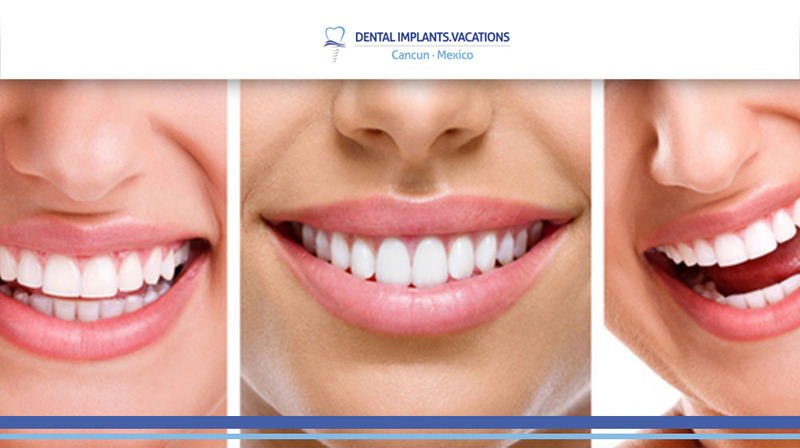 In Dental Implants Vacations we are specialists in designing smiles. You describe to us what changes you want in regards to your dental appearance and we take care of adapting it according to your needs and possibilities. Call us at 1 800 701 6039, our Dental Planers will guide you through the process.